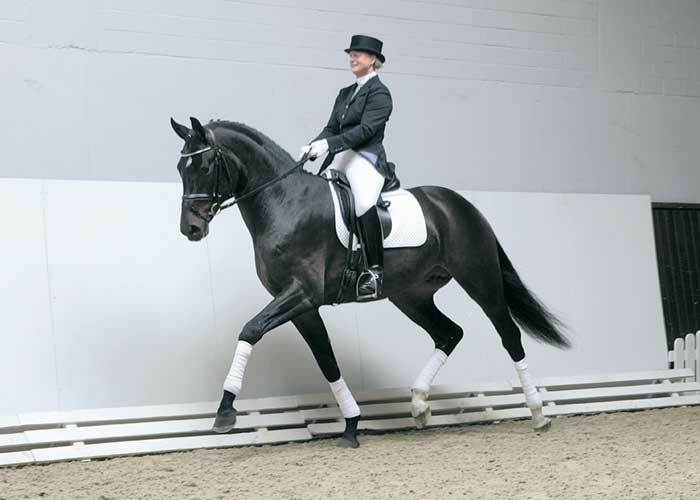 Here is an exceptional modern dressage horse with fantastic movement and great rideability. He was awarded with 9 at his 30 day test. With regard to the quality of his gaits: his phenomenal walk, his graceful trot which swings through his whole body and a rhythmical, uphill bouncy canter combined with exemplary rideability put him amongst the best in his age group. Samba Hit 111 is full brother to the absolutely extraordinary mare Poetin, the double champion and World Young Horse Dressage Champion was auctioned for the record price of E2.5 million at the PSI Auction in Ankum. Full brother Samba Hit 1 has won many dressage competitions up to Intermediate 1 level and produced the approval champion at Berlin-Brandenberg. 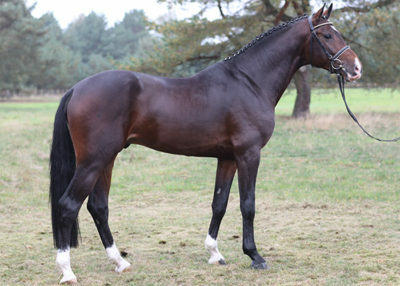 Samba Hit 11 is also a champion and competed successfully at the riding horse national young horse championship 2006. 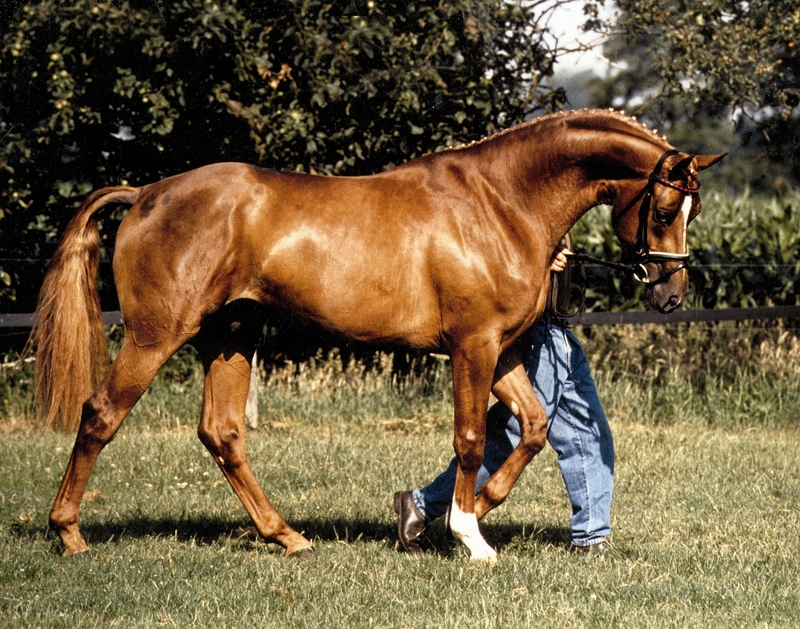 Poesie’s dam lineage has experienced outstanding success and is managed at the Brandenburger County Stud in Neustadt/Dosse. 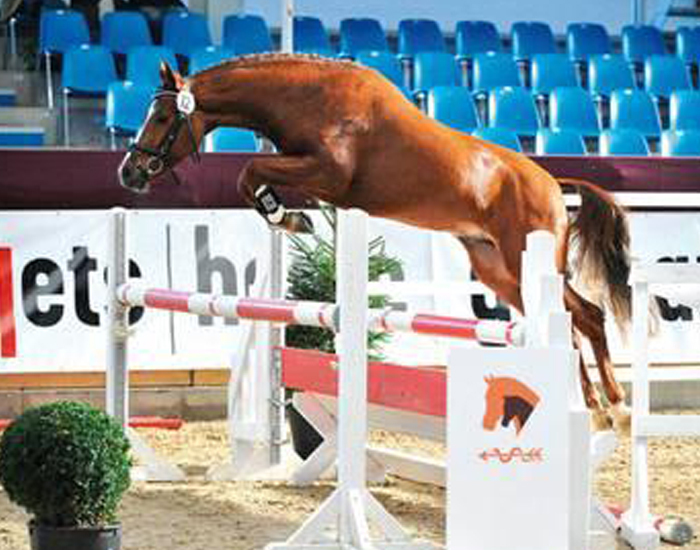 Due to his talent as a dressage horse and his genes, Samba Hit 111’s future knows no boundaries. PSI very much looks forward to his first foals.